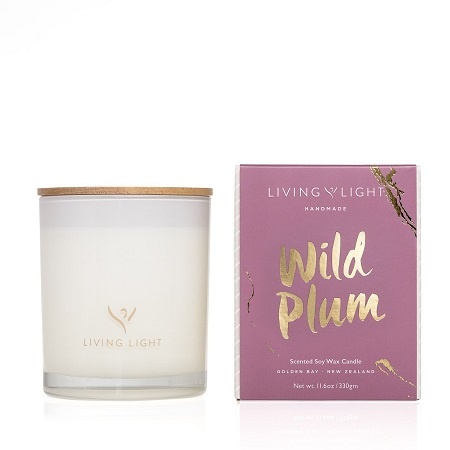 Wild Plum – Dancing notes of juicy plum and fresh green leaves, whisper in sweet delight, and say anything is possible. Pure Kosher soy wax hand poured into our heat proof milky white madison jar with wooden lid. Handmade in Golden Bay, New Zealand.